This sweet shrimp dish is best served with another Asian inspired dish, I choose to pair it with my Homemade Lo Mein. It cooks in just minutes and definitely is kid friendly with the sweet sauce. Just leave out the red pepper flakes if serving to young ones. Heat oil on medium high heat. Add garlic and onions and saute for 1 minute. Add shrimp and cool 6 minutes or until shrimp is just about done. 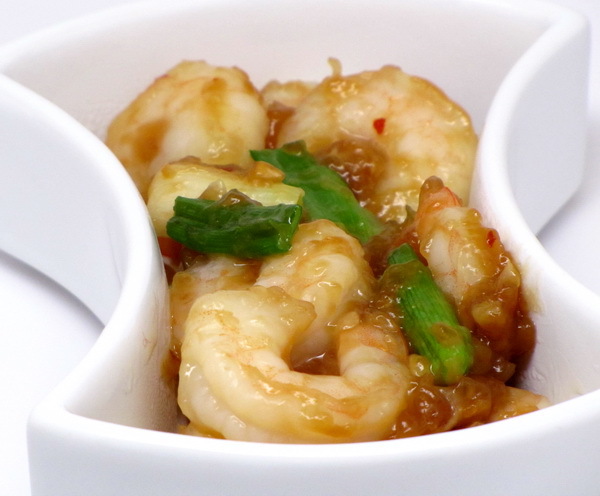 While the shrimp cooks, combine water, soy sauce, cornstarch, pepper and sugar. Pour over shrimp in skillet and cook 1-2 minutes or until the sauce thickens up. Remove from heat and sprinkle with sesame seeds. I’m not sure if this is a local product or if you can find it all over – a friend introduced me to it and you can get it at Whole Foods Markets. It makes a GREAT vegetable dip. 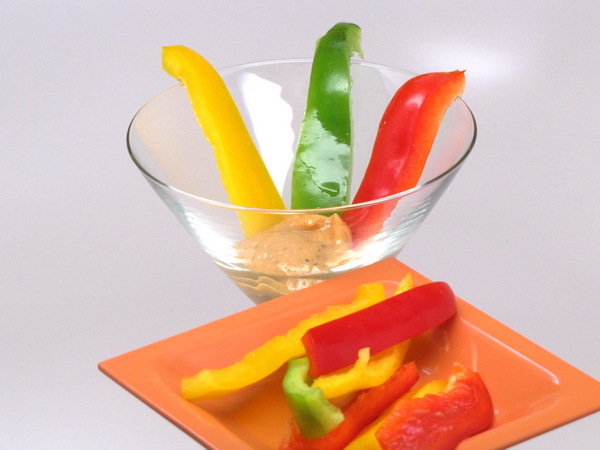 Served with tri-color bell peppers, it makes an excellent snack or lunch side. The dressing itself is 140 calories for 2T – – add the equivalent of a whole cut up bell pepper for about 25 calories.